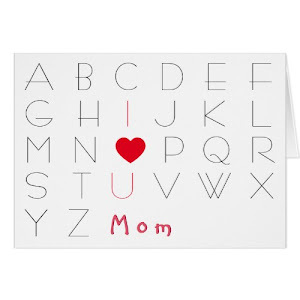 Sweet, funny, lyrical, rhyming, custom, giant jumbo size card to say "I Love You", that you may personalize with your own message / note / greeting inside. 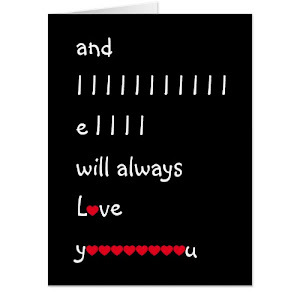 A card to say "I love you" in rhythm, on birthday, anniversary, christmas, holidays, valentine's day, and more. Funny, hilarious, personalized, durable acrylic luggage bag tag with leather strap. Customize the tag by entering your name. 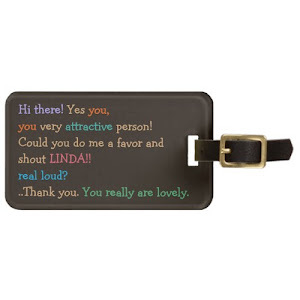 Fun luggage tag especially perfect for those who love to hear their name. No more running after wrong bags. Just stand near the baggage conveyor belt in style, and wait for your name being shouted, aloud. 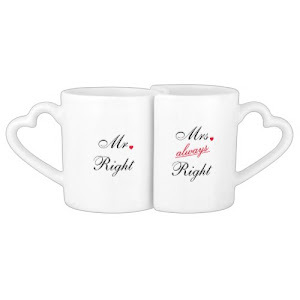 Funny, lovely, cute, romantic, couples tea/coffee mug set, with Mr. & Mrs. (Last Name) printed on the other side that you may personalize with the couple's last name. 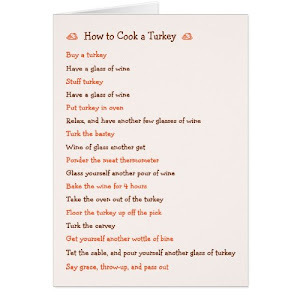 A funny, custom, personalized, hilarious recipe card featuring an awesome, authentic recipe on the front, that's guaranteed to make one an expert in roasting a turkey. A fun card for thanksgiving, birthday, mother's day, holidays, christmas, and more. 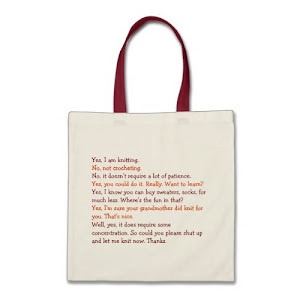 A slim, environmentally friendly, cotton tote bag featuring funny, regular, everyday conversation that every knitter knows only too well. When knitting in public you now finally have a bag that will do the talking for you, answer those repetitive queries, do the chit chat, while you continue knitting in peace. 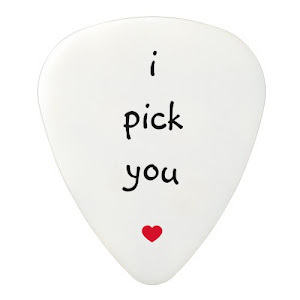 Cute, lovely, funny, humorous, guitar pick, to say "i love you", propose, to your valentine, boyfriend, girlfriend, new love, groom, bride, love of your life. Makes a great gift for engagement, wedding, valentine's day, anniversary, birthday, christmas, holidays, and more. Funny, hilarious, custom card for mom, that you may personalize for mother's day, birthday, christmas, and more. Don't be boringly normal this mother's day; be refreshing, be insane, show your humor. 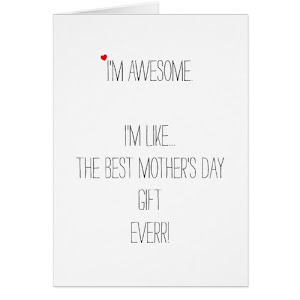 A quirky, crazy, funny, awesome, fun card for mom. Funny, womens flowy, flirty, stylish, boxy crop top t-shirt. 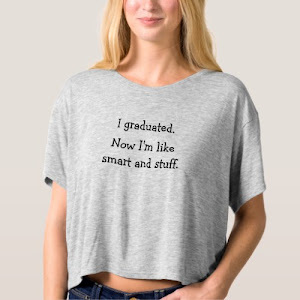 A fun tee for girls graduating from high school or college. Makes a great gift for graduation day, a fun gift for grads. 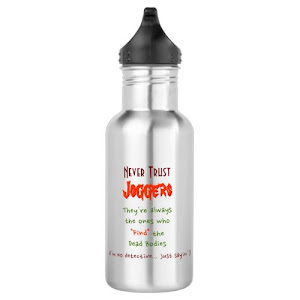 A funny, hilarious, durable, crack proof, spill proof, stainless steel water bottle, with awesome advice concerning joggers, dead bodies, and trust. Awesome pearls of wisdom for everyone. Sweet, funny, humorous, custom, jumbo size missing you card, that you may personalize with your own message / note / greeting inside. 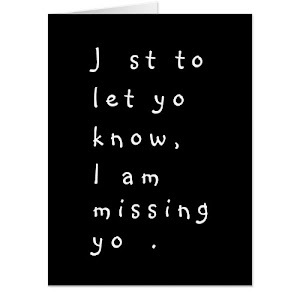 A sweet "missing you" card for the special someone, to say "I love you" and "I miss you" on birthday, anniversary, christmas, holidays, valentine's day, and more. Fun, cool, pink, cute, sleek, stylish, slim fit, custom, durable hard case, for all models of iPhone. 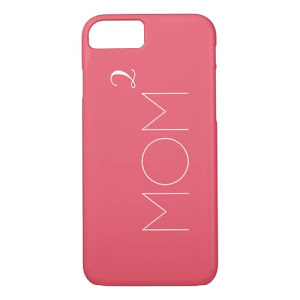 A fun phone case for moms. 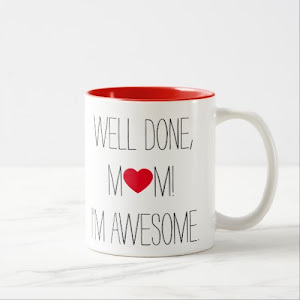 Personalize it by entering the number of kids mom has. 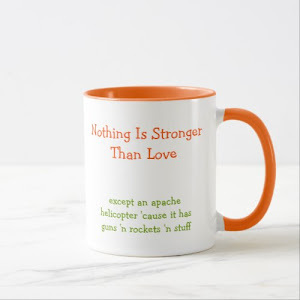 A hilarious, funny, tea / coffee mug on Love. 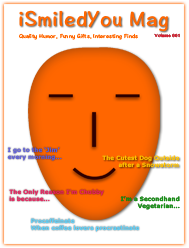 Makes a great fun gift for wifey, girlfriend, valentine, your better half. Gift at your own risk though. 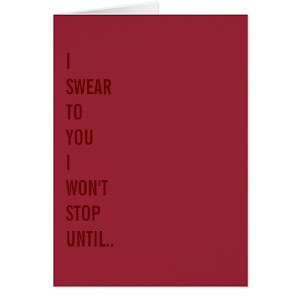 A naughty, fun card for newly weds, couples, your bride, girlfriend, wife, valentine, the love of your life, for valentines day, birthday, christmas, holidays, wedding, anniversary, or any regular day. 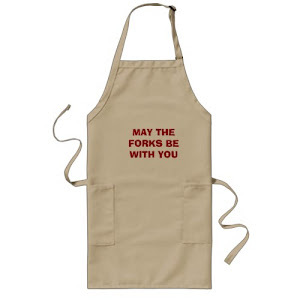 Fun, spoofy, geeky, funny, kitchen cooking grilling BBQ apron. Makes a great gift for birthday, christmas, holidays, and 4th May - Star Wars day, for the lady of the house, the chef / cook in the family, the BBQ lord / queen, geeks, and movie fans. Funny, humorous, stylish, covered custom baking cake pan, for that lovely moment when you bring out the cake from the kitchen. 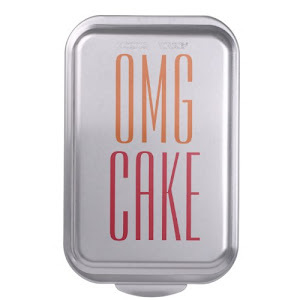 A fun cake pan, to add a touch of humor to your kitchen. Makes a great gift for the woman who loves to cook or bake. A lovely card for mom, that you may personalize with your custom mother's day / birthday / christmas greetings for mom. A fun, cute card for Mommy from her lil one, the apple of her eye. 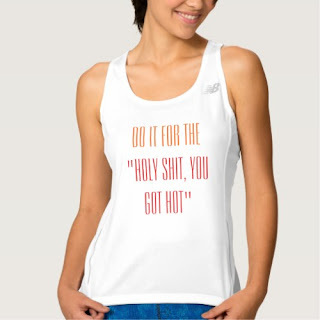 A funny, humorous tee featuring fun encouragement for a new year's resolution. Fun, womens racerback, athletic, performance tank top - perfect for exercises, yoga, daily workouts, running, jogging, cardio, weight training, gym. 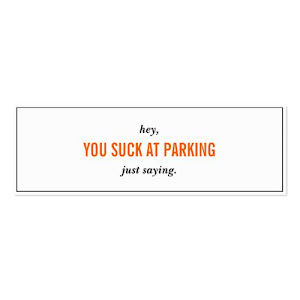 Funny and direct, skinny style business cards, to put across your disdain for bad parking. Perfect card to leave on the windshield of those who double park, don't leave enough space for you to get into your car, or park in a way that makes it difficult for you to move your car out of the parking. 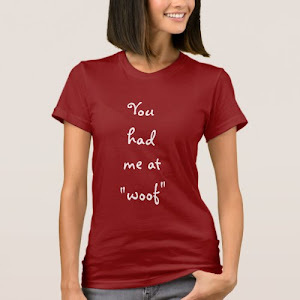 These funny, custom gifts are great for birthday, wedding, christmas, holidays, graduation, mother's day, Valentine's Day, and more. You may customize each of these gifts. You may change their color, style, and size, to your liking. You may even add photos, initials, greetings, and note to them.